The holidays are here and everyone is into carrying on their traditions and creating family memories that will last for years to come. Around here one of our traditions has been visiting Great Wolf Lodge during Snowland. It definitely has become a family favorite. Snowland is a special time of year during December when the lodge decks out to a Snowland theme. Everywhere you look you can find snowflakes, decorated trees, special seasonal foods and goodies, and the Great Wolf characters in their winter wear. Did I mention it snows in the lobby a few times during the day? That is a must see when you visit. Along with just being at Great Wolf Lodge during Snowland you will not want to miss something very special. There are rooms that you can book that are part of the Snowland package. They are so worth it. What’s a Snowland room? It’s a family suite that has so many extras! The headboards of the beds and the window are adorned with light up garland, there is a decorated tree in the room, the shower curtain is snowflake themed and they also hang snowflakes from the ceiling. It’s a beautiful sight to see. But that is not where the fun ends. There will also be take home book and cozy embroidered Snowland blanket that will remind you of your happy time even when you are back home. In addition there is a cookie and milk delivery to your room. The Snowland package is just amazing and something you will want to do over and over again. Of course even if you don’t take the Snowland themed room it is still the most wonderful time of year to visit Great Wolf Lodge. There are a million Snowland activities included with your stay. Believe me when I tell you that from the moment you enter the grand lobby you will be mesmerized by the glimmering snowflakes and lights all over. There will be a life sized Gingerbread house that you can actually dine inside of with advance reservations. We have dined in the Gingerbread House a total of four times and loved each and every time. Since my birthday falls in December, I was lucky enough to even celebrate my birthday once inside of it! The Great Wolf culinary team spends many weeks baking up everything that is needed to put together the life-size gingerbread house. Each lodge has their own version of the house they create on property. This bigger than life yummy masterpiece is adorned with gingerbread walls, candy trim, white icing trim and icicles that you will want to just break off and eat! But please don’t! Even thought the gingerbread is fully edible, it’s not for the guests to eat, just to dine inside of and take great pics of when you visit. If you do decide to dine in, your fee goes to the Ronald McDonald House Charities®! So, if you are looking for an amazing place to visit and make family and friends memories look no farther than your local Great Wolf Lodge. Any time is a good time to visit, but Snowland is especially beautiful with plenty of activities to keep everyone happy! Disclosure: Diane Sullivan/3decades3kids is a partner blog. All opinions are that of Diane Sullivan and do not reflect or represent the views of the parent company represented. Contact me about collabs, travel or any questions about Snowland! at 3decades3kids@gmail.com or @3decades3kids on all social media platforms. 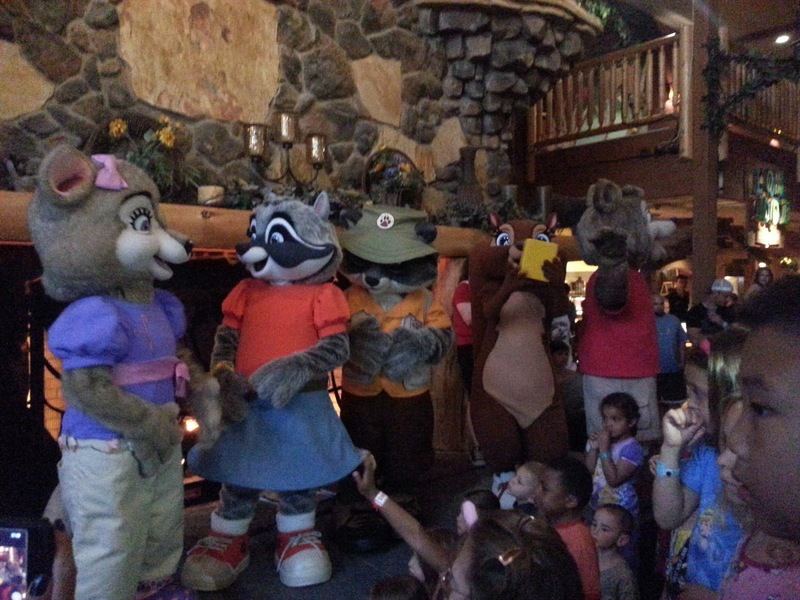 A Great Wolf Lodge Birthday Celebration! Birthdays are really special days and meant to be celebrated. There is nothing better than having your friends and family around you on your birthday and creating special memories. Recently Emily celebrated her birthday. Of course we had a home party and a class party filled with cake, candy and everything you could think of when it comes to celebrating. After losing so many of my family members in a short period of time my mom’s words just ring my ears, “Celebrate everything!”. I hear those words clearer and clearer as time goes by. This past weekend our family spent the weekend at our favorite Poconos resort, Great Wolf Lodge. Little did I know that our weekend would be sprinkled with so many Happy Birthday surprises! If you don’t already know, our family visits Great Wolf Lodge a lot! Sometimes we visit as media, sometimes we visit just to visit, but no matter which way we go- one thing is always the same- we love it there! The staff and workers are amazing and always make us feel like family. Going to Great Wolf Lodge is like going home. Since Emily turned two we have celebrated her birthday at Great Wolf Lodge. We don’t usually hit on the exact day, but one thing is for sure- we always get there. We had no idea there were so many ways to celebrate your birthday at GWL. In the past we have brought along our own cake, some balloons and kept the party pretty much contained to our own room. This year was a little bit different. When the word hit GWL that Emily was arriving for her birthday I feel like an imaginary Red Carpet hit the floor. We were treated like royalty from the minute we arrived! We checked in and headed to our room. Emily’s eyes bugged out when she noticed the Happy Birthday sign on the door! She was SO happy! I can’t blame her it was such a great sign complete with the Great Wolf Kids friends and her name on the top of the poster! How cool. We have seen them on other people’s doors during other stays and now Emily had one to call her very own. Big moment!! We checked out our room and headed to the indoor water park for a day of splashes and fun! As the weekend passed we really celebrated! Aside from spending a gazillion hours in the waterpark (how can you not? ), we spent time as a family. We let Emily call the shots for the day! We all knew that Howl at the Moon Mini Golf would be first up! She loves the glow in the dark mini golf! We headed from there to the Bear Paw for some ice cream. Emily was given a special pair of birthday wolf ears and birthday wristband at check in. With that combo she was treated to complimentary ice cream!! What flavor did she choose? Birthday cake, of course! Her and her Daddy spent time playing Magi Quest going from hallway to hallway trying to finally defeat the dragon! So much fun. Is wasn’t long before we all met back up for some dinner at the Loose Moose. 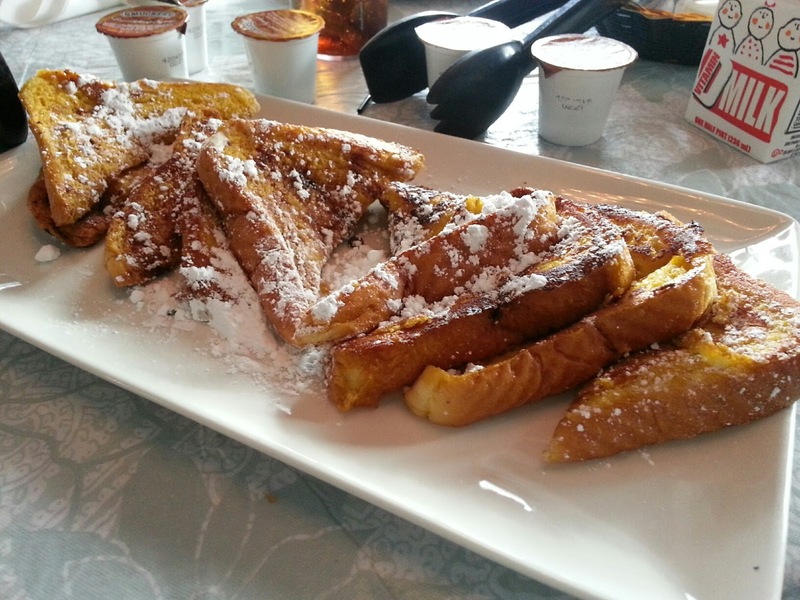 The Loose Moose is a buffet style restaurant filled with delicious choices. Of course Emily always wants to go there because of the pizza, mac and cheese, fruit bar and desserts! A million choices and one more delicious than the next. The dinner ended with a surprise Great Wolf Kids character cake! How adorable! I don’t think I have ever seen Emily so surprised or smile so much. She just embraced the entire cake surprise and could not wait to blow out the candles and dig in. She did ask for the slice that had Violet on it. No one was surprised at all. Lol! Our evening was filled with playing at the arcade and some snuggling during the nightly story time. Following the story time there was a fun little parade around the main lobby. There were a lot of kids and most of them joined into the fun. By then Oliver led the crew over for a meet and greet. I love how available the characters are and how picture friendly everyone is during the stay. Time was ticking and we were all starting to want to head back to the room to relax for a while. The rooms are so cozy, we always try to spend time in them playing cards or UNO or whatever we have with us. As for the fireplace in the room, total plus!! Just as we sat down there was a huge knock on the door. SURPRISE!! It was a special Birthday visit from Violet! Does it get any better than that? Violet is a family favorite ever since she visited our home a few years ago! There were plenty of hugs and laughs during the visit and a million memories made that night. You don’t think the fun ended there, do you? The following morning, somehow Emily mentioned the fun she was having on her birthday weekend at GWL. Before you knew it a crowd gathered around our breakfast table, a candle was lit and singing was happening. So much awesome in one little weekend! She is still talking about the trip now…and so are we. Thank you Great Wolf Lodge for being the best lodge ever. You never let us down! One trip is better than the next! We cannot wait to visit again! Disclosure: Diane Sullivan/3decades3kids is a partner blog. All opinions are that of Diane Sullivan and do not reflect or represent the views of the parent company represented. Contact me about collabs, travel or any questions about birthdays at GWL! at 3decades3kids@gmail.com or @3decades3kids on all social media platforms. Ever since I was a child, I can remember riding up and down the New Jersey Parkway every single summer heading to different shore towns to spend countless days on the beach and boardwalk. The same could be said for my own kids. Funny thing is I thought we had been to almost every beach town along the route. Not sure how we missed out on Jenkinson’s Boardwalk all of these years. It’s a definite great place for families and friends to create memories and to return to year after year. First of all, Jenkinson’s Boardwalk at Point Pleasant Beach is close! It’s less than two hours from NYC and an easy drive. Our family left early in the morning and arrived at our destination around 10 am. In my eyes that was perfect timing. I noticed that soon after things started to really crowd up. We found a parking lot easily and headed straight to the beach. Right away our family loved how everything was right there-all together. The boardwalk did not last forever, it was a perfect size and not overwhelming. As for the beach. It was gorgeous. The lifeguards were totally attentive to all of the swimmers and boogie boarders. That really kept mom and dad at ease. The waves were crazy the day we visited! The kids had such a blast. My big guys spent the day in the waves- while Mommy and Emily built a sand castle city! I was also thrilled that sand toys, beach chairs and umbrellas were all available and they did not break the bank. It was a perfect day at the beach! There was also a changing house available complete with private showers. Bonus: It was super clean! Our second stop was the boardwalk. We cleaned up and headed out to check it all out. Our family decided to check out Jenkinson’s Aquarium. All I can say is Wow! What a hidden gem. The aquarium was just amazing. There were so many varieties of fish and sealife. There was even a tank filled with sharks! Emily was thrilled by the touch tank and the seal feeding. As for me, I could not believe I was able to get in a little bit of learning in the middle of our beach trip. Disclosure: Diane Sullivan is a Jenkinson’s Boardwalk Ambassador. All opinions are that of mine and completely honest. As part of the ambassador blogger program our family was provided with family VIP wristbands and compensation. Contact me at Diane@3decades3kids.net and @3decades3kids. The winter freeze is definitely upon us. Although we do enjoy the snowy outdoor activities, we are also always in search of a cozy winter retreat. Luckily for us, Great Wolf Lodge in the Poconos- less than two hours away from NYC is always there for us. Imagine enjoying an indoor water park with a view of the snowy mountains. It’s yours for the taking. 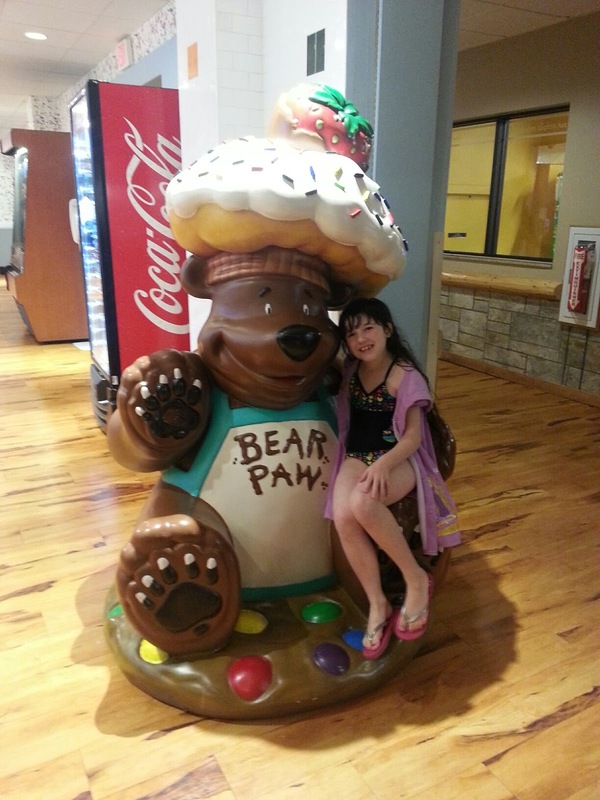 One of our favorite family fun resorts is definitely Great Wolf. No matter that age of your children, from infants to adults, even the grandparents will have a blast. If you do visit, make sure you pack your swimsuit. Well, if you do forget, there is always one available at one of the shoppes. 1. You can choose your own activity level from reading a book in front of the fireplace in the Grand Lobby to swimming and water slides. It’s your call. 2. Magiquest and Shadowquest: What a fun game for all ages. The kids will love solving quests and moving on to different levels. Good Luck at the end if you go up against the dragon. He’s a tough one to beat, but there is always someone on hand from the Magiquest team to help you out, so don’t worry. 3. The Water park! Okay, so this one is definitely is my family’s favorite. We all love the wave pool, water slides and whirlpools. 84 degrees. Yes, please! 4. There are plenty of places to dine at the lodge. You do not have to leave to fill up the bellies. There are choices from buffets, Wolf It Down pizza, and more. Did I mention there is a Starbucks? 5. Story Hour is my daughter’s favorite. She loves watching the Clock Tower show followed by story time and then a character meet and greet. It is simply adorable. If you visit, don’t miss it. 6. The rooms are a world onto themselves. There is a huge variety of room styles to choose from. We love the loft with two floors of fun, and an in room fireplace and balcony. There are also rooms that tout bunk beds and their own kids’ cabin within the room. 7. There is a SPA within the lodge. One for adults and one for kids- Scooops Kids Spa. Enough said? 8. The Northern Lights arcade is a family fun spot for all of us. 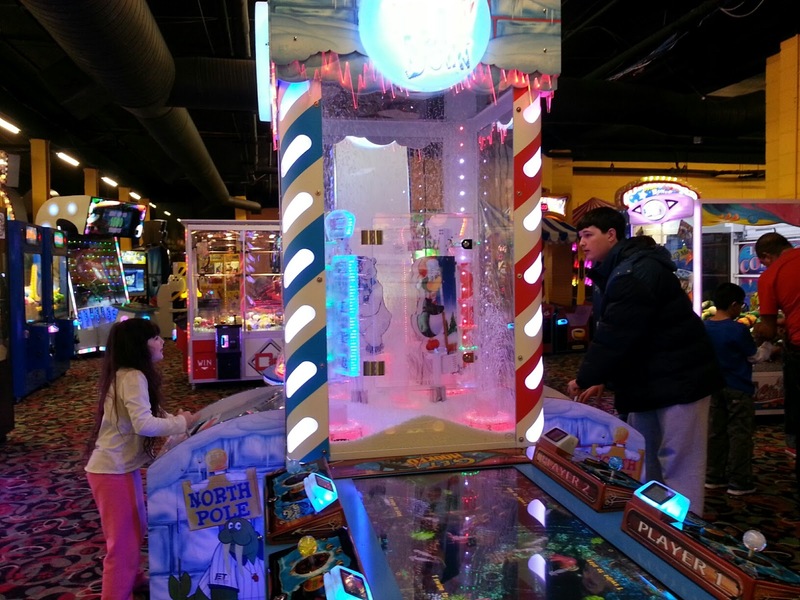 Everyone in our family has a blast between air hockey, skee ball, Deal or No Deal, and so many more choices. 9. The Staff! They are amazing. We visit the Poconos location and they are just top notch. No matter where you are in the lodge you can find a smiling face and someone to help or just brighten up your day. They are knowledgeable and willing to lend an extra hand. 10. Family time! With everyone on a different schedule it’s nice to get away, even for one night and just be together. The laughs are many and the memories we are making will last forever. 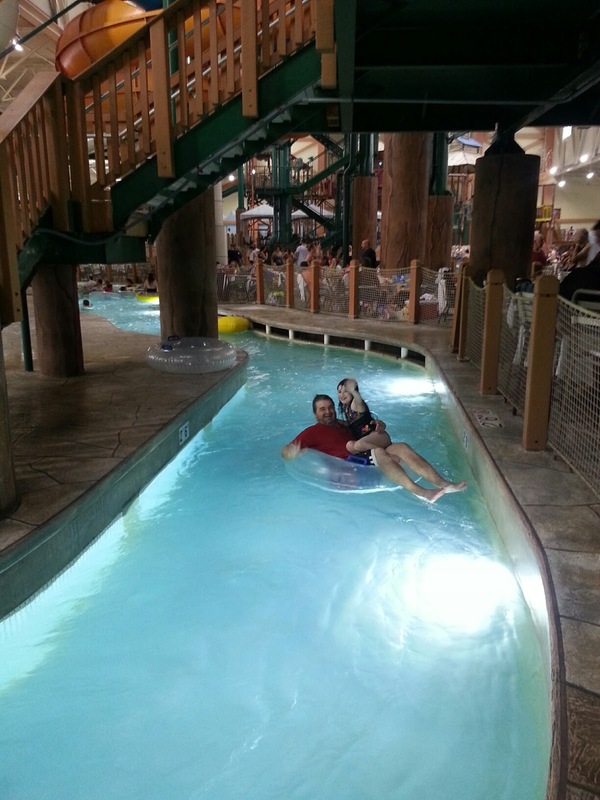 Great Wolf Lodge cannot be beat for close to home family fun! If your family is ready to warm up this winter, you should definitely check out Great Wolf Lodge. Disclosure: No compensation was given for this post. A greatly reduced media rate is provided in order to facilitate this post. All opinions are that of Diane Sullivan. This post is part of our #Roadtrip2fun Series. Contact me at 3decades3kid@gmail.com and everywhere else as @3decades3kids. Disclosure: No compensation was given for this post. A greatly reduced media rate is provided in order to facilitate this post. All opinions are that of Diane Sullivan. Contact me at ELGEorgia@aol.com and everywhere else as . @3decades3kids.